Welcome our 10thmember inducted this Rotary year! Carol Koepke Tu’ua, a native of Pittsburgh, PA and a hotel graduate from The Pennsylvania State University, has lived on Maui for 24 years. While in the hotel business on the mainland for the first part of her professional life, she was given an opportunity that she never dreamed possible – moving to Maui. Now she can’t imagine ever leaving. While on Maui she’s worked as a General Manager for several resorts from Lahaina to Ka’anapali to Kapalua. She currently works as the Association Manager at Kahana Sunset, minutes away from her residence in Napili. She met and married her husband Bob about 20 years ago. Bob has 4 grown children, all who live on Maui, and together they enjoy spending time with any of their 9 grandchildren, primarily watching youth soccer, basketball or T – ball. Carol is a many year volunteer for the Kapalua TOC Golf Tournament and Wine and Food Festival, and enjoys participating in water aerobics at the Lahaina Aquatic Center whenever she can. Carol was sponsored by Leanna Roberts. 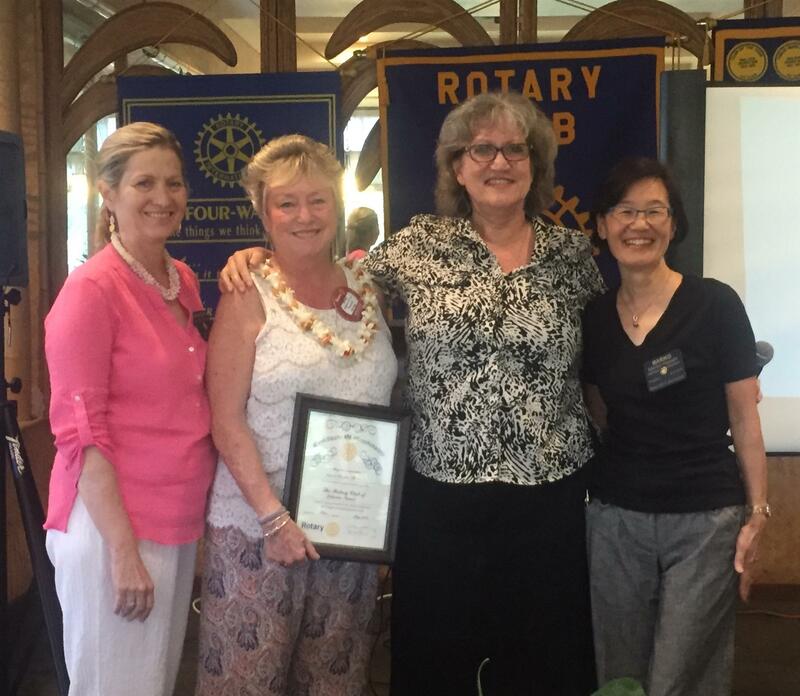 She was inducted on Tuesday May 1st by ADG Marti Wukelic and President Mariko.